California Gov. Jerry Brown has made some of the state’s temporary water restrictions permanent. 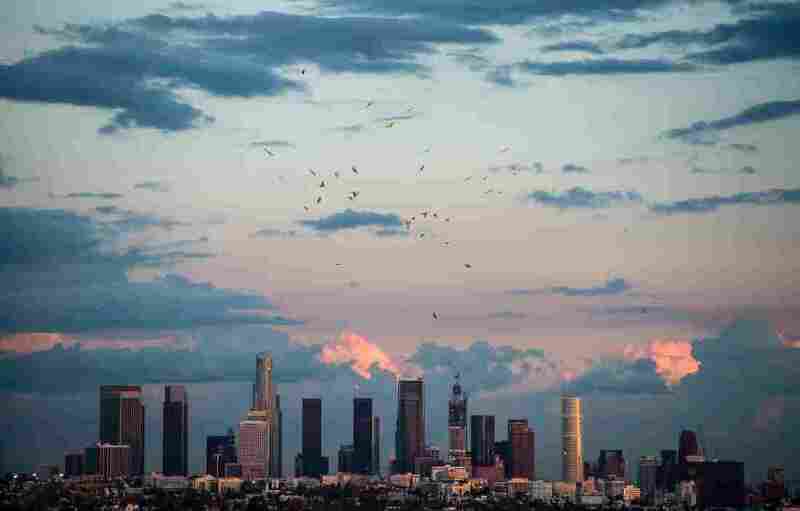 The executive order, in response to the state’s drought, permanently bans wasteful practices like hosing sidewalks and washing cars with hoses that don’t have shut-off nozzles. The state approved unprecedented water restrictions in May 2015, as The Two-Way reported, after voluntary conservation efforts didn’t cut it. The speaker of Brazil’s lower house of Congress on Monday annulled last month’s vote on the impeachment of embattled President Dilma Rousseff. But shortly afterward, the leader of Brazil’s Senate announced he will ignore the lower house leader’s decision and press on with the impeachment process. 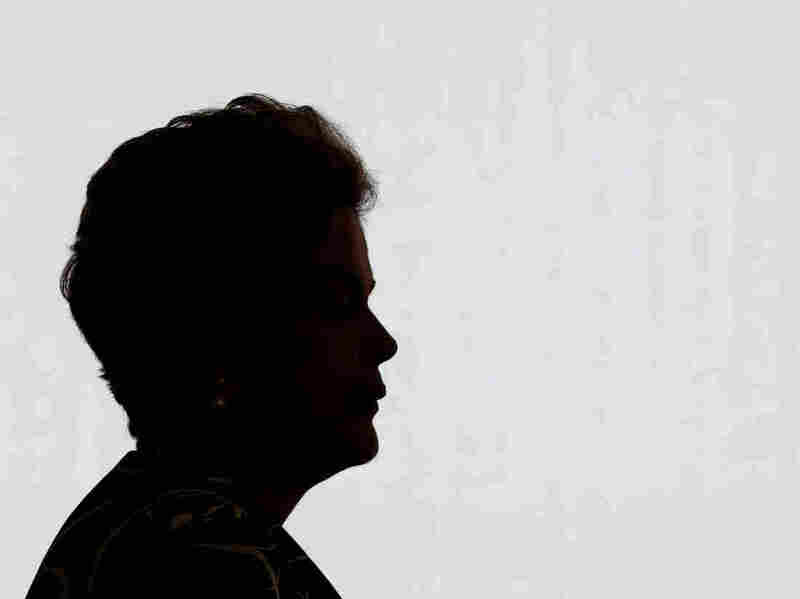 The political seesawing further complicates the already chaotic struggle for political power in Brazil’s government. Lourdes adds that the case is viewed as “insubstantial” by many legal analysts. But revolution would be really expensive, according to a new report. 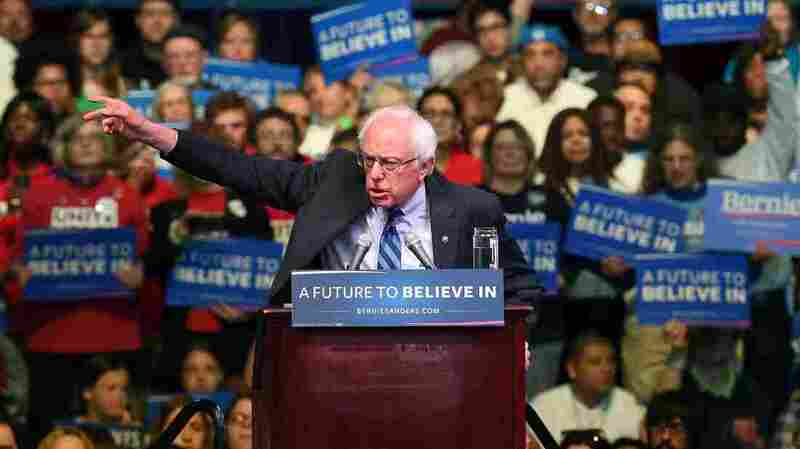 The Tax Policy Center estimated on Monday that Sanders’ taxation-and-spending plans — including outlays for programs like Medicare-for-all and free college tuition — would together add $18 trillion to the national debt over a decade. In addition, the center’s Howard Gleckman wrote, it would add $3 trillion in interest costs. That’s well more than twice as much as the Sanders campaign says the health plan would cost. They put it at $13.8 trillion over a decade. According to TPC, Sanders’ plans would increase taxes across the board, but they would provide bigger benefits than tax hikes for many Americans as well, particularly the lowest-income. People in the bottom 20 percent of income would pay an average of $209 more in taxes, for example, but receive nearly $10,300 in benefits, on average. Benefits would outweigh the tax costs for the bottom 95 percent in TPC’s breakdown. The highest-income people, meanwhile, would pay in a lot more than they’d receive. On average, people in the top 5 percent would pay $130,275 more in taxes and receive $19,281 more in benefits. Hillary Clinton had attacked Sanders earlier in the campaign for calling for a “tax hike on middle-class families.” However, the Sanders campaign countered that the plan would ultimately save people money, giving them “better care at less cost,” as Politico reported in November. Sanders’ plan might benefit lots of people on the individual level, but according to TPC, the additional spending could cause broader macroeconomic problems. According to Roberton Williams, a fellow at the center, the effects of this level of government spending would “undoubtedly be pretty severely negative,” as it could crowd out private investment, raise interest rates, and slow down economic growth. In a statement, the Sanders campaign said TPC “wildly overestimates the cost of Senator Sanders’ health care plan,” saying that the center “underestimates the savings in administration, paperwork, and prescription drug prices” that the U.S. might realize under Sanders’ plan. In addition, the Sanders campaign said TPC assumed state and local governments would stop spending on healthcare and just hand over their obligations to the federal government. Gunnels said that under Sanders’ plan, state and local governments would keep spending at current levels. The center’s estimate isn’t really comparable with its other analyses of candidate plans, because this one includes both Sanders’ taxation and spending plans. TPC has analyzed most other major candidates’ tax plans, for example, but not the accompanying spending (or spending-cut) plans. Likewise, the center estimated that Clinton’s plans would bring in $1.1 trillion over 10 years. But, according to TPC fellow Roberton Williams, because the Clinton camp hasn’t released all of its tax proposals in one go, it’s hard to compare her plans to Sanders’. For example, when the center estimated Clinton’s tax plan in March, it noted that a middle- and low-income tax cut was still coming. “Our attrition rates are on par with the class at large, but can you imagine what it must feel like to live, train, study, eat, cry, laugh, struggle, and succeed in an environment where for 4 years, the majority of the people there don’t look like you, it’s hard for them to relate to you, they oftentimes don’t understand you, and the only way to survive is to shrink your blackness or assimilate. “Even if the intent was not to make a political statement — for example, if ‘group think’ set in or the cadets were just ‘messing around’ — they could still be in trouble, Greiner explained. The database is barebones, containing the name of the entity and how its connected to an offshore account. As we reported, hundreds of international journalists teamed up to pore over the data and they found information that tied 140 politicians from more than 50 countries to offshore companies. The documents — and the connections made with them — don’t necessarily detail anything illegal, but they do shine a light on the shadowy world of offshore finances. The database released today includes the names of more than 7,000 entities from the United States. The name of the de-facto Republican presidential nominee Donald Trump appears numerous times, but as McClatchy reported, it doesn’t mean much, because Trump sells his name to many investors with capital. “Some of the Americans have been convicted of fraud or other crimes. They include Martin Frankel, a Connecticut financier who pleaded guilty in 2002 to 20 counts of wire fraud as well as counts of securities fraud and racketeering conspiracy, and Andrew Wiederhorn, an Oregon corporate executive who pleaded guilty to two felonies in a case tied to one of the largest corporate scandals in Oregon history. Frankel could not be reached for comment. Wiederhorn said the offshore company linked to him in the Mossack Fonseca files was used for legitimate overseas real estate investments. PBS highlights how gun violence affects communities in the United States during Armed In America, a special two-night event featuring two documentaries and town halls. The films air on Monday, May 9 and Tuesday, May 10 followed by town hall discussions moderated by All Things Considered weekend host Michel Martin. On Monday, tune in to Peace Officer, which focuses on shootings involving law enforcement and the debate about the increased militarization of police in the United States. The Armor of Light, which airs on Tuesday, explores religious perspectives surrounding gun violence. The documentaries will broadcast on PBS (check your local listings) and simulcast online at PBS.org and NPR.org. You can tune in to a live stream of the two-night special here beginning on Monday, May 9 at 9 p.m. ET, and then on Tuesday at 8 p.m. ET. Private Medicare Advantage plans treating the elderly have overbilled the government by billions of dollars, but rarely been forced to repay the money or face other consequences for their actions, according to a congressional audit released Monday. In a sharply critical report, the Government Accountability Office called for “fundamental improvements” to curb overbilling by the health plans, which are paid more than $160 billion annually. The privately run health plans, an alternative to traditional fee-for-service Medicare, have proven popular with seniors and have enrolled more than 17 million people. The plans, which were the subject of a Center for Public Integrity investigation, also enjoy strong support in Congress. The GAO said that the Centers for Medicare and Medicare Services, an arm of the Department of Health and Human Services, has spent about $117 million on these audits, but so far has recouped just $14 million. 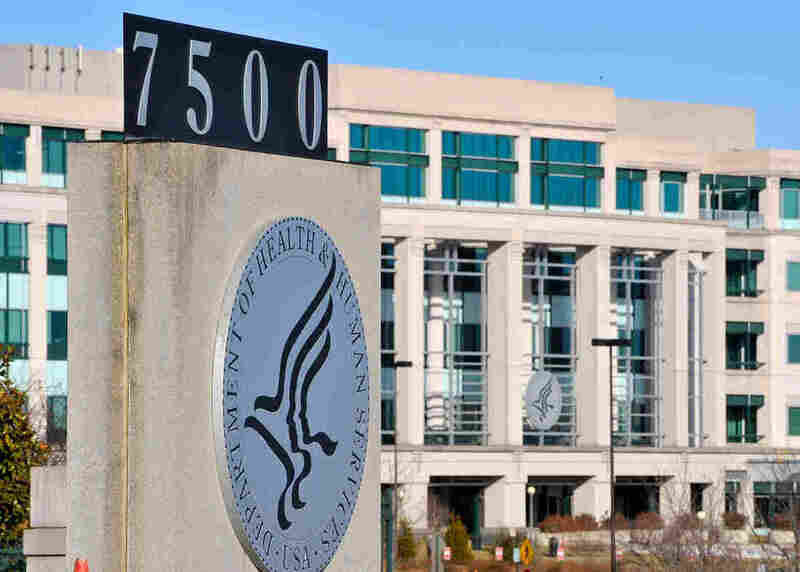 CMS officials counter that the mere threat of RADV these audits has caused health plans to voluntarily return approximately $650 million in overpayments – and that upcoming audits will recover tens of millions more. In addition, CMS records released to the Center for Public Integrity through a court order in a Freedom of Information Act lawsuit show that overbilling has wasted tax dollars almost since risk scores were introduced in 2004. One confidential review of 2005 payments determined that nearly a third of patients enrolled in 22 health plans weren’t as sick as was claimed. The audit projected overpayments of $4.2 billion as a result. Other CMS documents reveal that officials dubbed these health plans “high-flyers,” but did little to reel them in, while RADV audits dragged on for years without reaching conclusions. Medicare officials have quietly conducted these audits since 2008. But they have never imposed stiff financial penalties, even as evidence built up that billing errors were deeply rooted and wasting tax dollars at an alarming clip. GAO reviewers said that CMS is stepping up the RADV audits, but notes that much more needs to be done. GAO noted that officials expect the upcoming audits to recover $370 million, but that’s just three percent of the total estimated annual overpayment. While federal auditors have struggled for years to root out these overcharges, at least a half-dozen whistleblowers have filed lawsuits accusing Medicare Advantage plans of ripping off the government. This piece comes from the Center for Public Integrity, a nonpartisan, nonprofit investigative news organization. To follow CPI’s investigations into Medicare and Medicare Advantage waste, fraud and abuse, go here. You can follow Fred Schulte on Twitter: @fredschulte. When you’re settling in to watch a movie, and the music starts playing, it’s hard to ignore the names that flash first in the opening credits: The Director. The Big Stars. Name placement matters in academia, too. 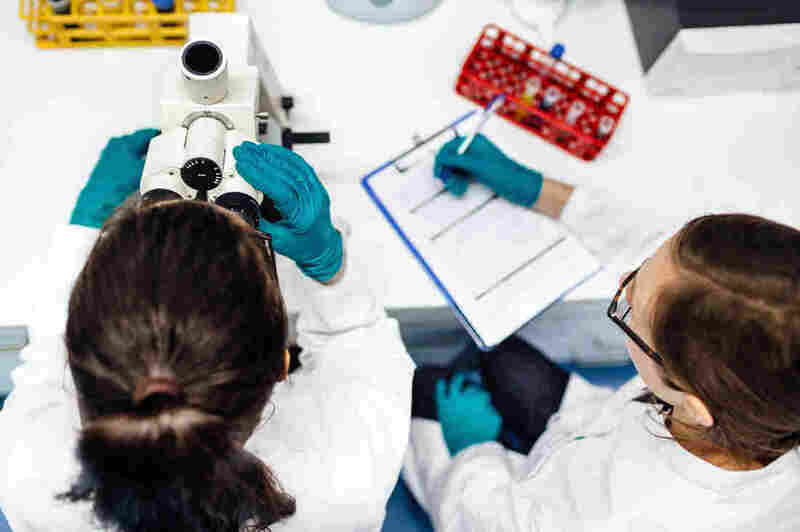 A recent study reveals there’s a gender gap in who gets top billing on medical studies published in several of the most prestigious research journals. Dr. Carolyn Lam, a cardiologist and faculty member of the Duke-NUS medical school in Singapore, says getting top billing isn’t just about ego. The number of times you nab that “first author” spot on a research paper shapes how you’re evaluated at work — everything from tenure possibilities to pay. Traditionally, the last name in a series of authors on a science paper is also prestigious — it’s reserved for the most established colleague. First and last in the series is best. That’s why she was upset when she heard about the study in the British Medical Journal showing women are under-represented in that first position. Giovani Filardo and Briget da Graca, with Baylor Healthcare System in Dallas, took a close look at the names atop original research articles published in six of the world’s leading medical journals over two decades. Though women have been attending U.S. medical schools in roughly equal numbers as men since 2003, “substantial gender differences in rank and leadership remain in academic medicine,” notes Dr. Kathryn M Rexrode, an associate professor of medicine at Harvard Medical, in an editorial accompanying the study. And that may also be a problem for women’s health, it turns out. In the same way that having more women as writers and directors in the movie business makes it more likely a film will have a female protagonist, research shows that studies of new drugs or therapies that have women as first authors are more likely to include a significant number of women as research subjects. Dr. Deborah Diercks, who chairs the department of emergency medicine at UT Southwestern, says when she designs studies of why women are more likely to die from heart attacks, she approaches it differently than some male doctors do. She wonders if those pressures might also help explain why women less often get top billing on research papers. Another factor that might contribute, she says, is bias in the review process. The editors who make the decisions about who gets published are often men. Gender bias, intentional or not, is something Carolyn Lam thinks about often. Just one in five students in her medical school class in Singapore in the early 1990s were women. After graduation, Lam entered a male-dominated specialty — cardiology. Still, she doesn’t fault the system entirely for the gender gap among first authors. In part, she blames herself. For example, Lam was recently working with two male colleagues on a journal submission when they started talking about whose name should appear first. She stayed silent. And her name went second. “I started examining myself a bit,” Lam says. “Why didn’t I ask to be first author?” She realized she should have advocated for herself. “I think that sort of behavior is pervasive in many, many fields,” she says. So, last month, when Lam was finishing up another study she’d worked on with two different men and the question of authorship came up, she spoke out. But she caught herself and, instead, asked to be first author. Her colleague agreed. This story is part of a NPR’s reporting partnership with local member stations and Kaiser Health News. 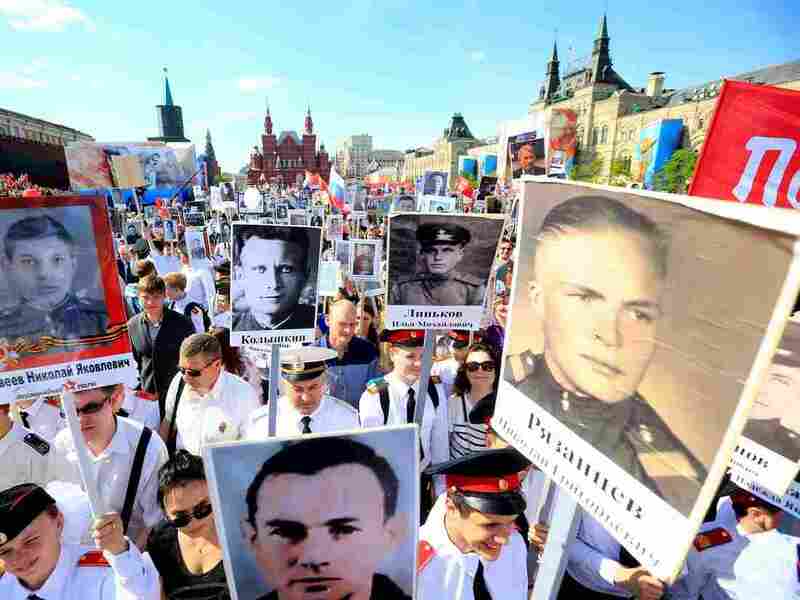 Every May 9, Russian television footage is dominated by one of the country’s most important holidays, which speaks to both the past and the present. The programming consists of tanks and other military vehicles rolling through Red Square as President Vladimir Putin and other dignitaries look on. Jet fighters scream overhead, streaming the white, blue and red of the Russian flag in their vapor trails. It’s a largely a made-for-TV production, and Russian television portrays it with dozens of cameras, shooting from every angle, including from right under the marching feet of the soldiers. Most Russians have to watch it on TV, because tight security makes it difficult to get close to much of the parade route. Before Putin speaks, there’s a momentous trumpet fanfare. When he calls for a moment of silence in memory of the millions who died in the war, the seconds are counted out by a loud tick-tock. Very old men and a few women, the surviving veterans, sit behind the president, their chests glinting with medals. If the first part of the ceremony is about the past, the second part is about the modern Russian military. Thousands of soldiers, sailors, airmen and marines march past. 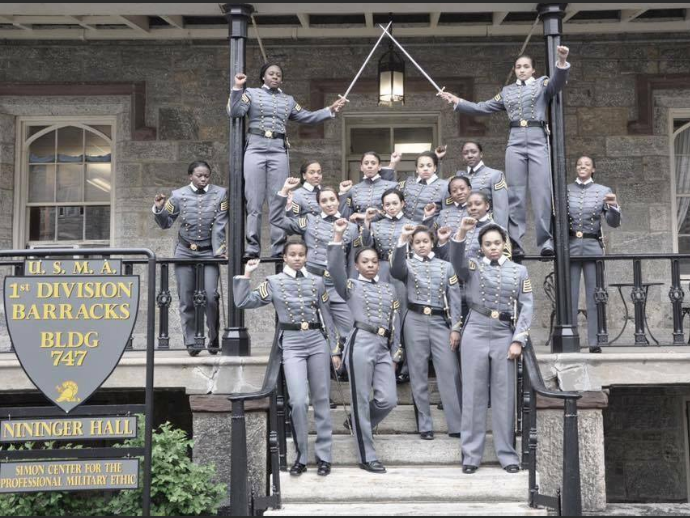 This year, for the first time, military women were represented by a unit of female cadets. Among the more than 100 military vehicles in the parade are Russia’s newest weapons, including the Armata tank and the S-400 anti-aircraft missile system. In a way, this part of the ceremony represents Putin’s fulfillment of a promise to modernize the Russian military. The program originally planned to spend hundreds of billions of dollars to bring most of the armed forces up to speed by 2020. That plan has been slowed somewhat by the drop in oil prices and Russia’s current recession, but Putin has vowed that it will go on. For ordinary Russians, the holiday begins when the televised production is over, and people go out to public parks. Most parks in Moscow have some sort of program to mark the holiday. In my neighborhood park, the Heritage Garden, there’s a stage where a Russian Army chorus belts out nostalgic songs from the war years. Here and there, grandchildren and great-grandchildren lead aged veterans to seats, from where they can enjoy the show. People bring the veterans flowers, especially red carnations, and other gifts. 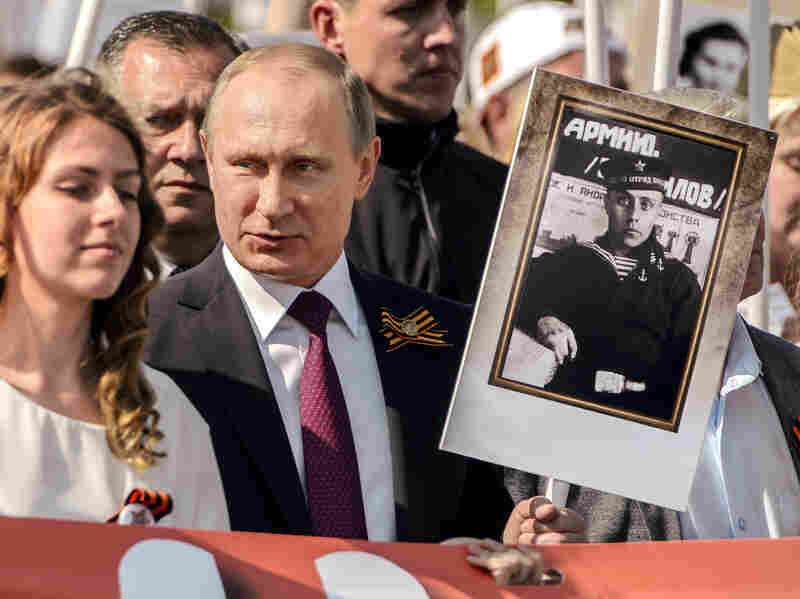 Whole families turn out decked in Red Army garrison caps and sporting the red-and-black stripes of the St. George’s ribbon, which has come to be a symbol of the victory and a sign of support for the current Russian government. People line up to sample Red Army chow from a smoky field kitchen or try on Soviet greatcoats and helmets to have their photos taken. Much of this enthusiasm for the military has revived in the past few years. It got a boost with Russia’s annexation of Crimea in 2014, and it’s been whetted by Russian pride over its military campaign in Syria. Even with a sagging economy, the Russian government places a premium on stoking Russian patriotism. 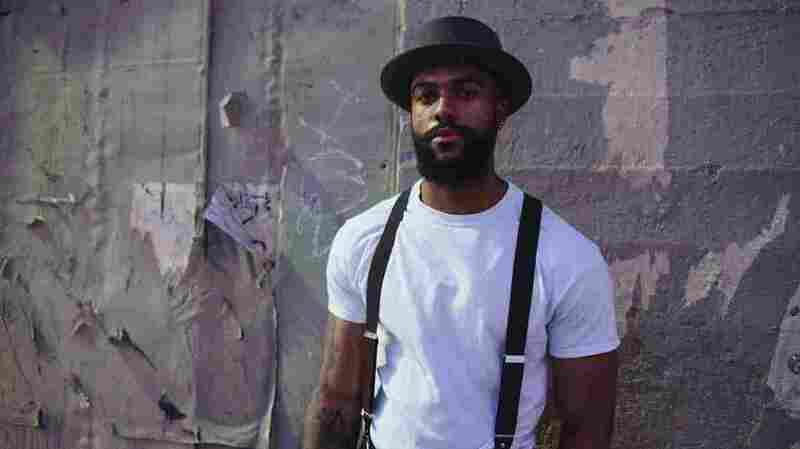 23-year-old Long Beach, Calif., singer-songwriter Kwesi Foraes‘ debut EP, 27, reveals blues, R&B and folk influences and an incredible level of emotional depth. Foraes says the aftermath of family turmoil and death affected these songs, which also explore the addictive nature of love. Hear two songs in this week’s World Cafe Next segment, above.